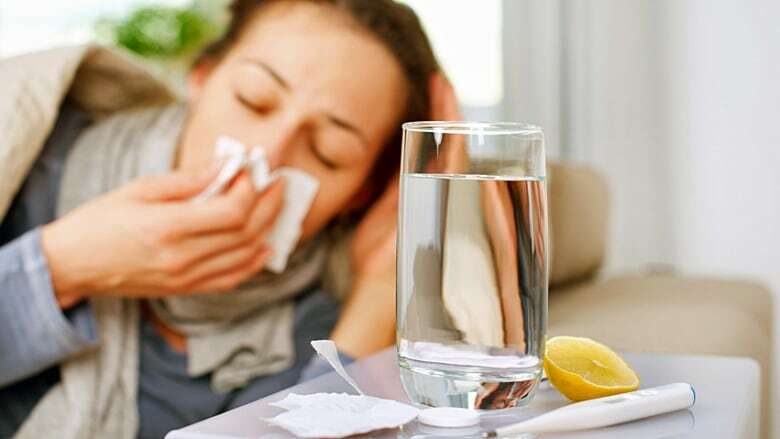 British Columbia may soon introduce unpaid sick days as part of a slew of proposed changes to the province's Employment Standards Act. The province released a report late last week seeking feedback on the adjustments to the act over the next month. The report says most of the review committee members agreed on a total of seven days unpaid leave per year for workers who are sick, or need to take time off to attend to urgent family needs. Currently, the province only protects up to five days unpaid leave per year for family care. B.C. and Nunavut are the only Canadian jurisdictions that don't include protections for workers who need to take time off when they're sick or hurt, according to the province's report. The report acknowledges that many larger businesses already have sick leave policies. The absence of a statutory minimum sick leave in B.C. mostly affects small business employees and those in part-time, temporary jobs. No one from the B.C. Federation of Labour was available to comment on the proposed changes, but former president Irene Landzinger previously told CBC News her organization had been advocating for sick leave for years. Richard Truscott with the Canadian Federation of Independent Business, however, says mandated sick leave could prove complicated for small busineses. "I do definitely worry that what they may come up with may not reflect the reality of small business and may not be sensitive to the needs of entrepreneurs," Truscott said from his office in Calgary, Alta. The ministry says the Employment Standards Act, which sets out labour laws and employment rights in the province, hasn't been comprehensively reviewed since 1994. The revisions focus on six key areas: Increasing protection of child workers; transforming the Employment Standards Branch; supporting families through difficult times with job-protected leaves of absence; strengthening workers' ability to recover wages/monies owed; clarifying hours of work and overtime standards and improving fairness for terminated workers. Truscott says the review process seems more focused on protecting workers than considering the needs of small businesses. "We don't want to create a whole long list of regulatory headaches for small businesses trying to jump through hoops and and do more paperwork," Truscott said. The report says statutory minimum sick leave is contentious. It also says most employers are opposed to sick leave. Many of them fear their employees will feel entitled to take a sick day if they don't feel like coming in to work. Elizabeth Reid, an employment lawyer at Boughton Law, says her practice has dealt with several cases of employees abusing sick leave. "Employers kind of notice a pattern of that and they want to put in some kind of a policy to address it," Reid said. The report says employees at businesses with a sick leave policy tend to take more sick days, but it also says those who don't benefit from such a policy may show up for work when they're ill because they fear they'll get fired if they don't. Those who want to comment on any of the proposed changes can email feedback to ESAReview@gov.bc.ca by March 31, 2019.